This year marks the 100th anniversary of the death of John Philip Holland, inventor of the US Navy's first submarine. 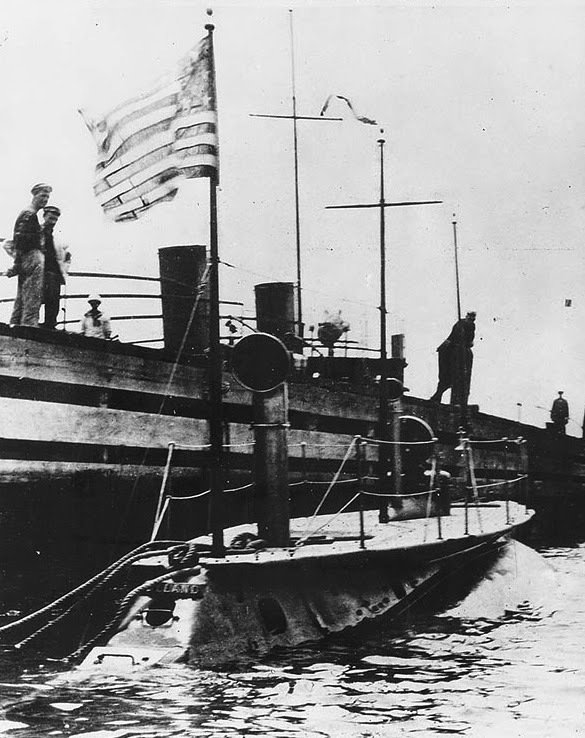 Designed and built by the Irish immigrant, the submarine was named USS Holland. In May of last year we were approached by a client in Denver, Colorado to photograph the name plate of this submarine which is stored at the National Museum of the U. S. Navy at the Navy Yards in Washington, DC. 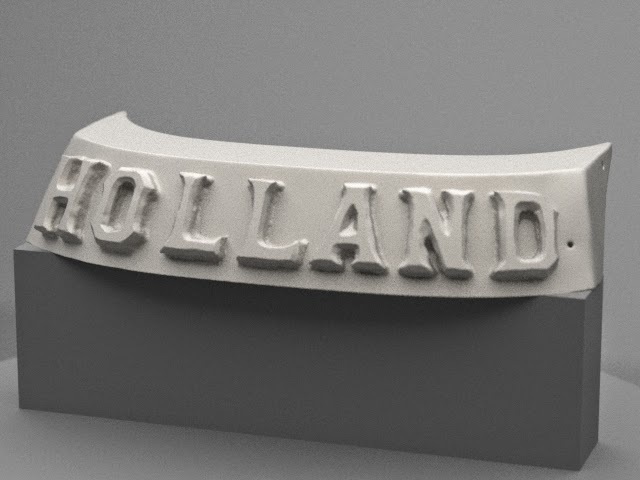 The name plate is all that remains of the USS Holland submarine and our client wanted to create an exact replica of the plate. US Holland circa 1900 - name plate is visible at stern of craft. After receiving permission from the National Museum of the Navy, the nameplate was photographed in September. To recreate an exact copy of the name plate, we had to photograph it from many different angles - our client provided the following diagram to assist in the shoot. All of these angles allowed the client to see every part (including holes, scratches, indents and rises) on the plate. 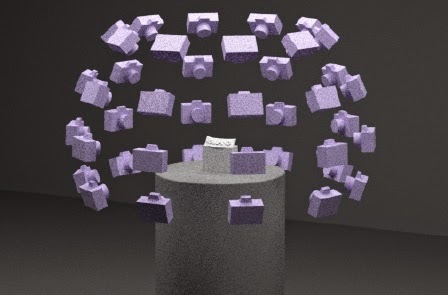 Once the images were captured, our client was able to produce a computer 3D model of the plate using image alinement software - see below. Using the 3D model, a temporary prototype of the plate was created. This prototype was used to create a mold in which the final bronzed replica of the name plate was cast. Final bronzed replica of the USS Holland name plate. We are very grateful to our client for allowing us to participate in his endeavor.